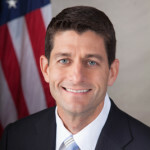 House Speaker Paul Ryan of Wisconsin plans to hold a town hall meeting next Monday. It would be the Janesville Republican’s first such event to be open to the public in nearly two years. The nationally-televised town hall in Racine is being organized by CNN and will be hosted by Jake Tapper. Ryan’s office says CNN will be in charge of attendance for the event and is inviting attendees from the 1st congressional district which he represents. Ryan, who’s been criticized for not holding a public town hall since October 2015, has defended himself by saying he doesn’t want opponents from outside his district to disrupt any such meeting. Ryan has opted to hold invite-only events at businesses and over the telephone. U.S. Representative Mark Pocan, a Democrat who represents Wisconsin’s 2nd congressional district, is promising to fact check Ryan’s remarks in real time, on Twitter.